The small historic town of Pottersville in the Schroon Lake Region of the Adirondacks features many family-run businesses and attractions that make it a great destination for visitors. 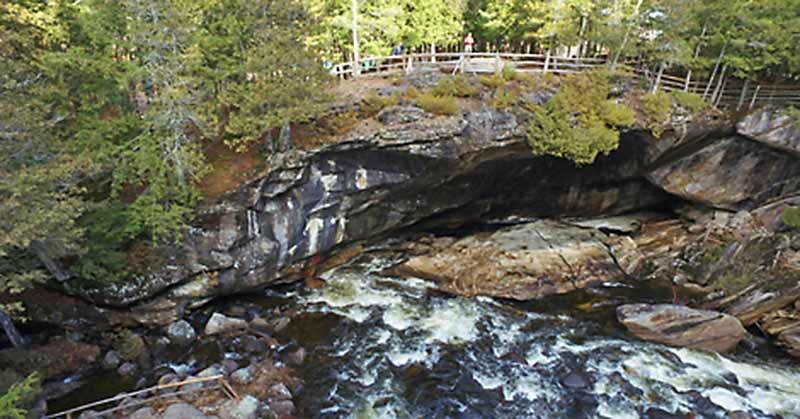 One of the main attractions the area has to offer is Natural Stone Bridge & Caves. Tours are available daily, and you may choose from a variety of options, including snowshoe tours in the winter. This natural wonder is the largest marble cave entrance in the eastern United States and the attraction has been run by the same family for more than two hundred years. The youngest members of your family will love mining for gemstones and exploring the pitch black Gold Rush Mine. Several campgrounds exist in the area along with rental cabins. Fishing, hiking, outdoor picnics, and golf are just a few of the many things available to do in the Pottersville area in the summer. Winter sports include cross-country skiing, snowshoeing, and snowmobiling. 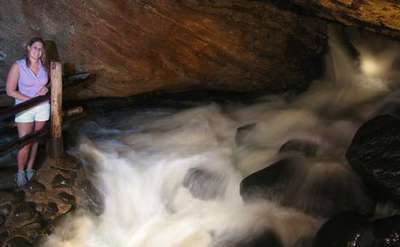 Natural Stone Bridge & Caves on Trout Brook features multiple waterfalls, a marble natural stone bridge, and several caves, including the largest cave entrance in the east. Come camp at Eagle Point! 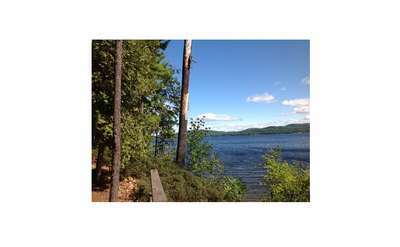 Activities range from canoeing, hiking, boating, fishing and bicycling to visiting the nearby Village of Schroon Lake for quaint shopping, delicious restaurants, operas and concerts. There's something for everyone!